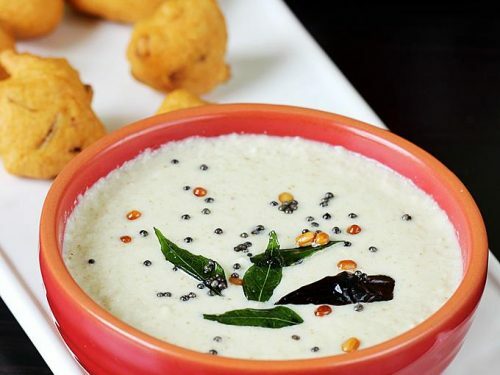 Custard powder ice cream recipe – Eggless custard ice cream made without icecream machine, without eggs and without condensed milk. This is a wonderful summer treat I recently whipped up for my boys. 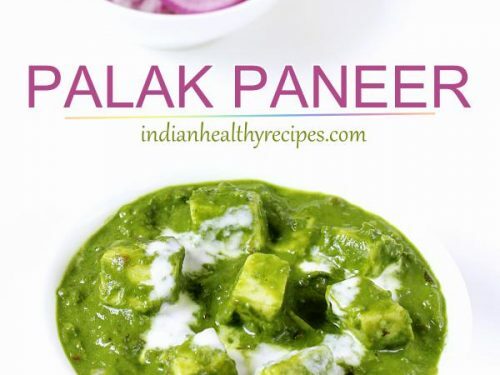 This is a simple recipe and can be made with any flavor you desire. 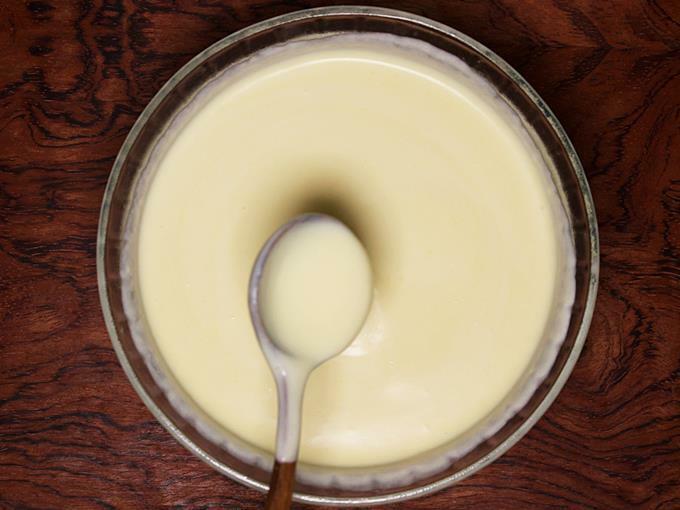 I have used vanilla flavored custard powder. 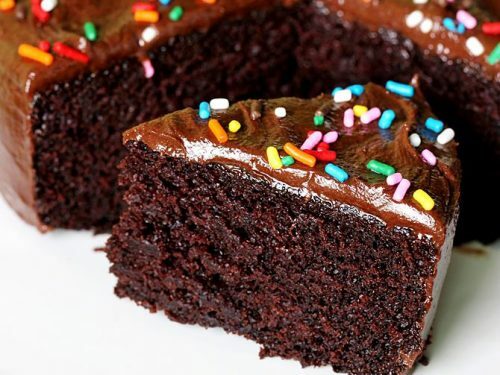 You can use your favorite flavored powder. To make this ice cream, I prepared the custard first and then cooled it. Later mixed it with the freshly whipped cream. This recipe gives you a thick creamy and delicious icecream that doesn’t form crystals. 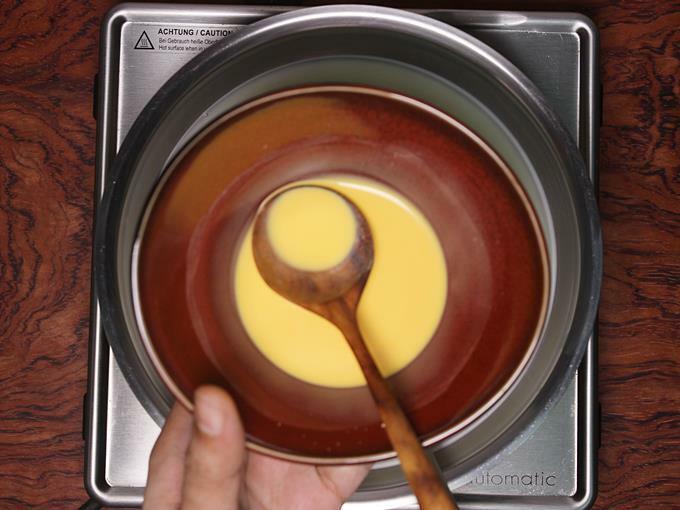 You can also pour the prepared custard icecream mixture to stainless steel cups or Popsicle moulds and set them. I have used a hand mixer to whip the cream. 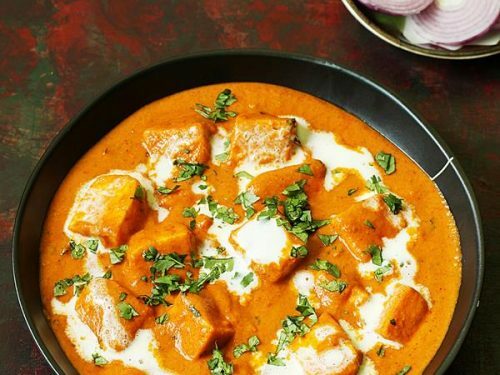 However you can also use a Indian mixer with a whipping blade to whip it. But if you have a icecream maker or kitchen aid attachment then you can just pour the chilled mixture and churn it. The taste & texture of icecream churned in a machine is the best as it aerates well. 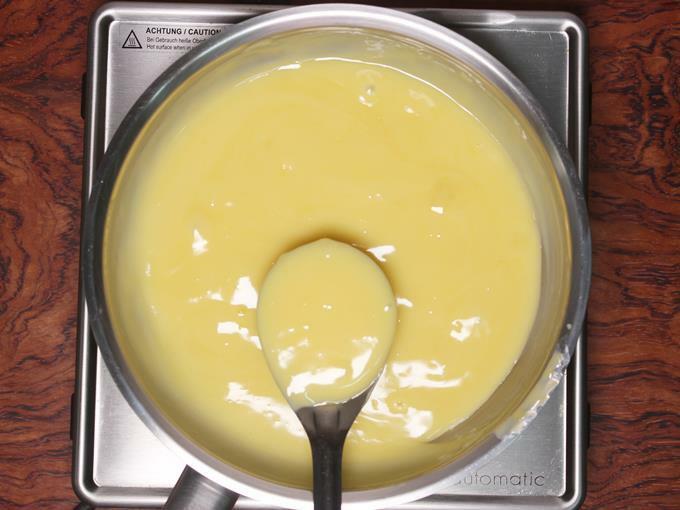 I have used a eggless custard powder that has no artificial colors & flavors. 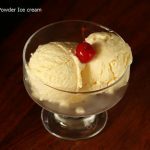 Eggless custard powder ice cream made without ice cream machine – creamy, delicious and flavorful. Chill the bowl and the beaters for at least 24 hours in the freezer. This helps to whip the cream well and quickly. Chill the cream as well. Mix together custard powder and 3 tbsp of milk. 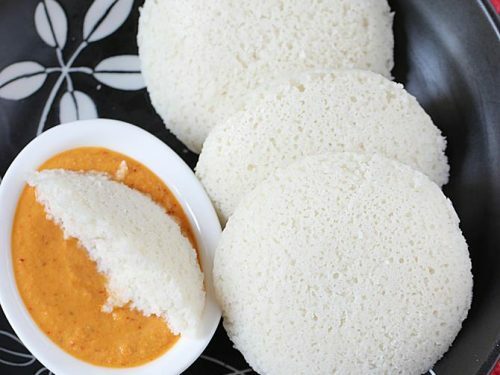 The mixture has to be smooth without any lumps. Keep this aside. Next begin to heat milk in a pan. 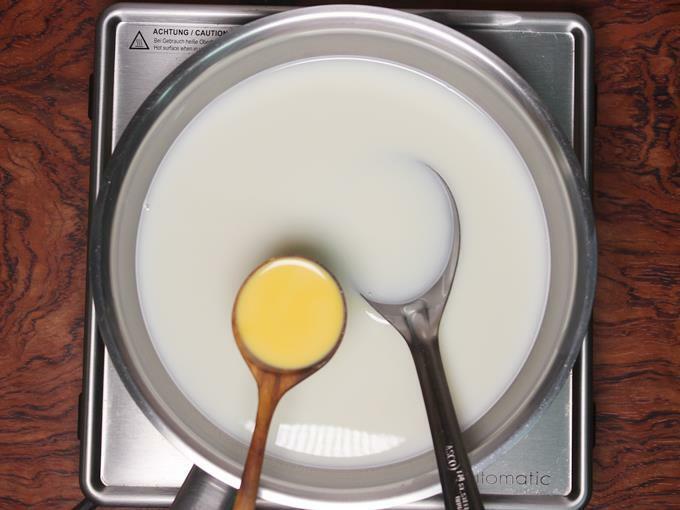 After the sugar dissolves, next add the custard milk in 2 to 3 batches. Keep stirring the milk often in between every addition. 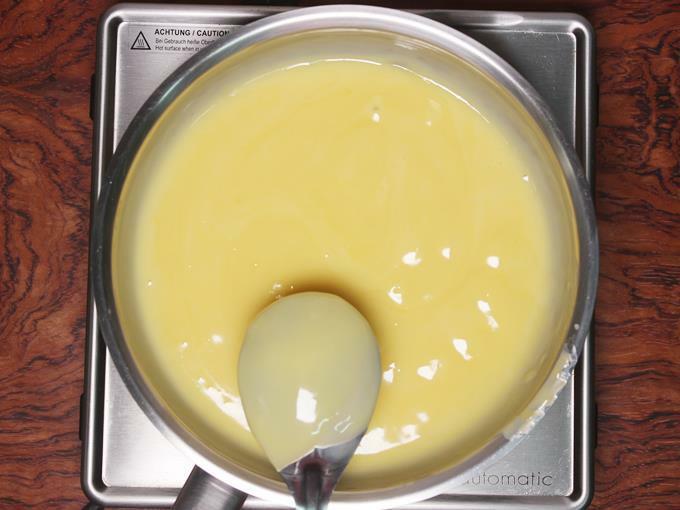 Custard must mix well with the milk without forming any lumps after every addition. 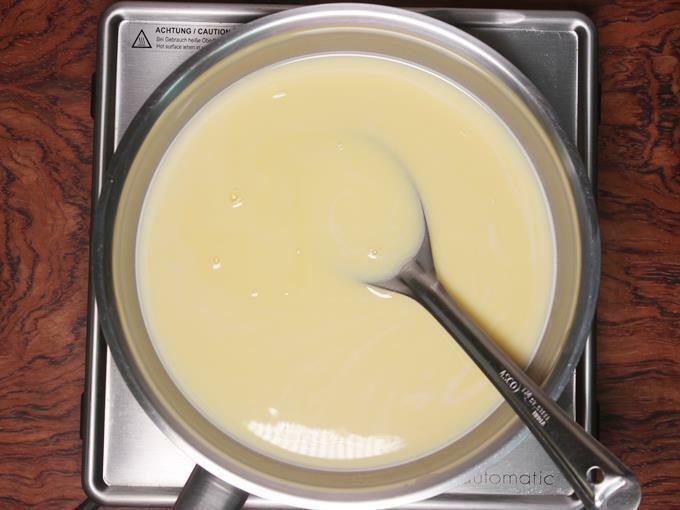 Continue to boil the milk on a medium flame stirring consistently until the mixture turns thick. Set this aside to cool completely. Next pour the chilled cream to the bowl. 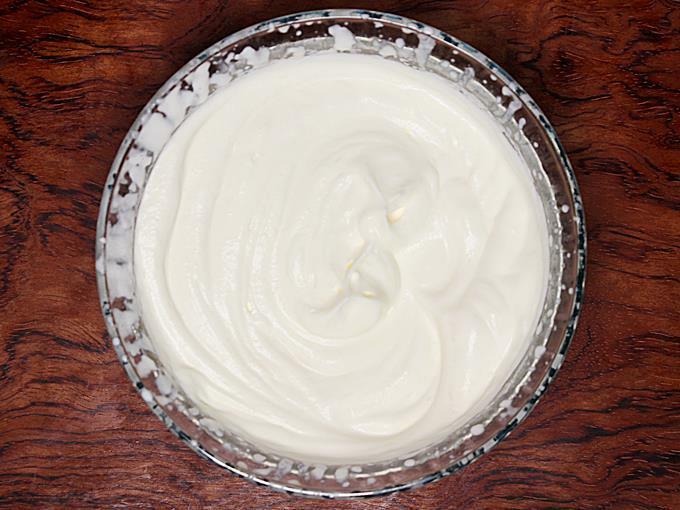 Begin to whip until stiff peaks. 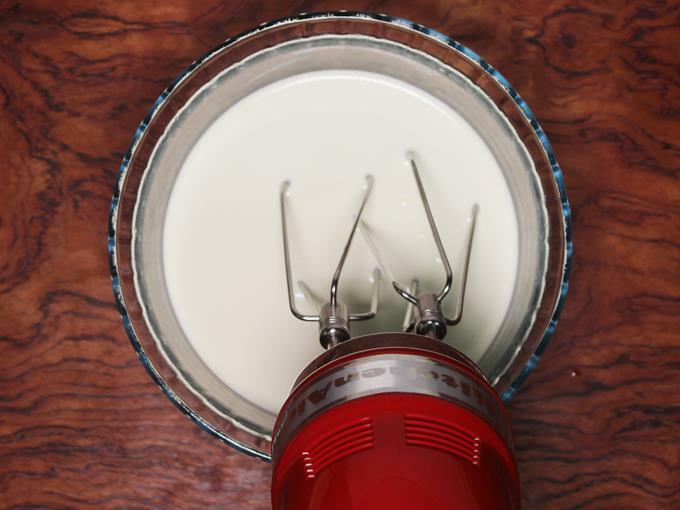 Whisk the cooled custard well to ensure it is lump free. If needed you can add little milk and whisk it well. Next pour the custard to the whipped cream. You can also pass it through a sieve or colander. Add vanilla or any other extract of your choice. Mix everything well again either with a spatula or with the hand mixer. The mixture will be of thick pouring consistency. Finally cover the ice cream with a cling wrap such that it touches the ice cream mixture. Cover the bowl and freeze until set. It usually takes 12 to 15 hours. 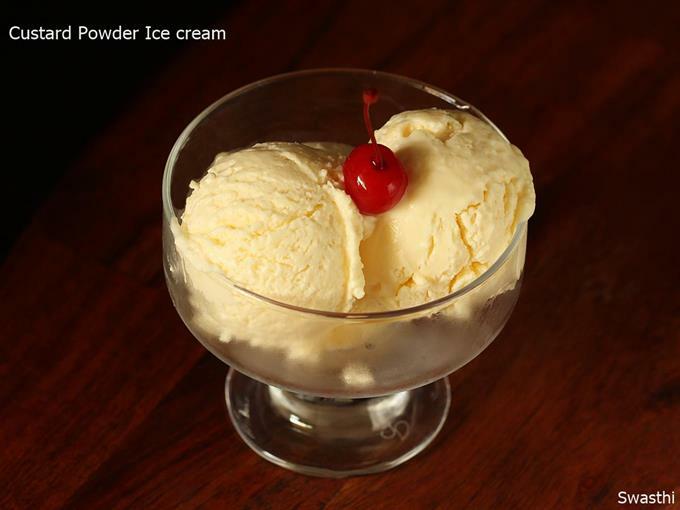 Scoop custard powder ice cream and serve. 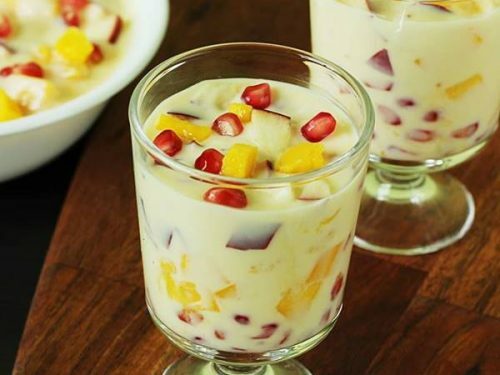 Garnish with cherries or chopped pistas. 1. 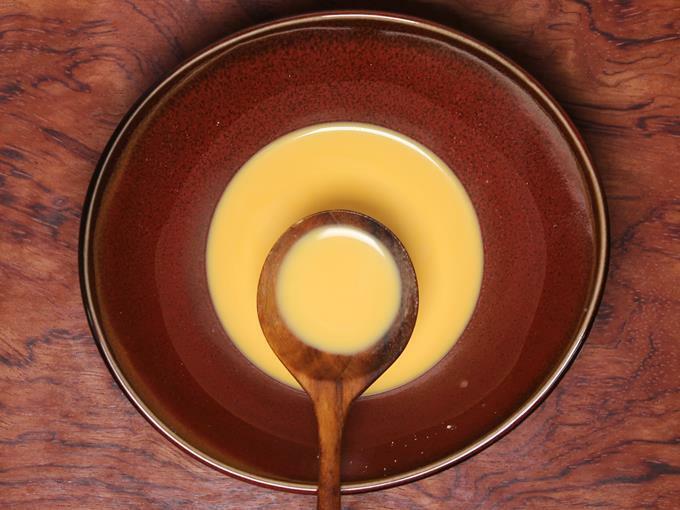 Add custard powder to a bowl. 2. Pour 3 tbsp of milk into the bowl. 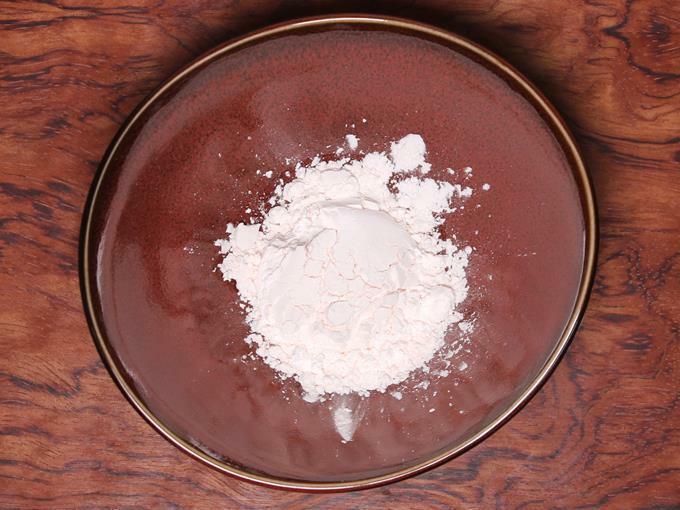 Make a smooth mixture that has no lumps. 3. 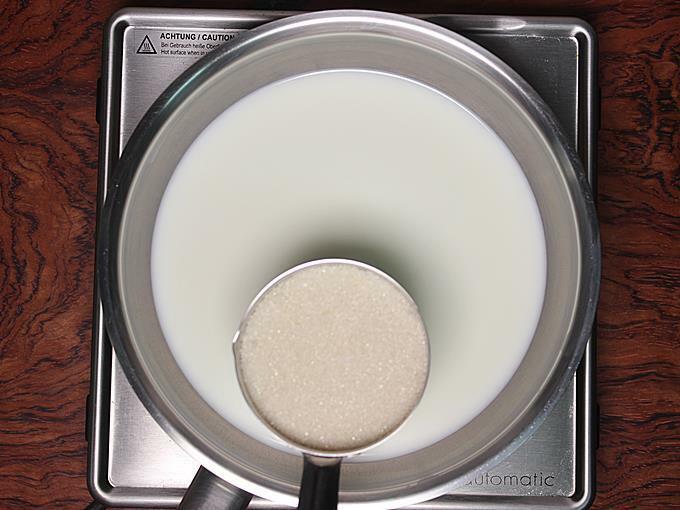 Next add sugar to milk and begin to heat. 4. Dissolve the sugar completely. 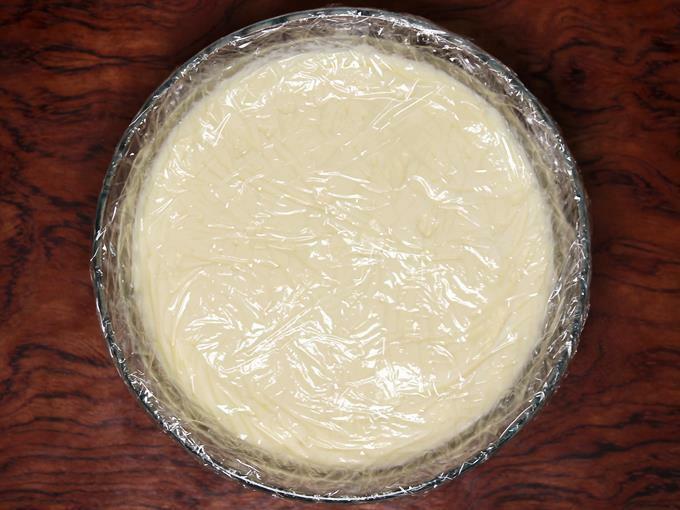 Then begin to add 1 tbsp custard mixture each time, in parts. 6. Again add another 1 to 2 tbsps. Then mix well again after every addition to make sure there are no lumps. 7. 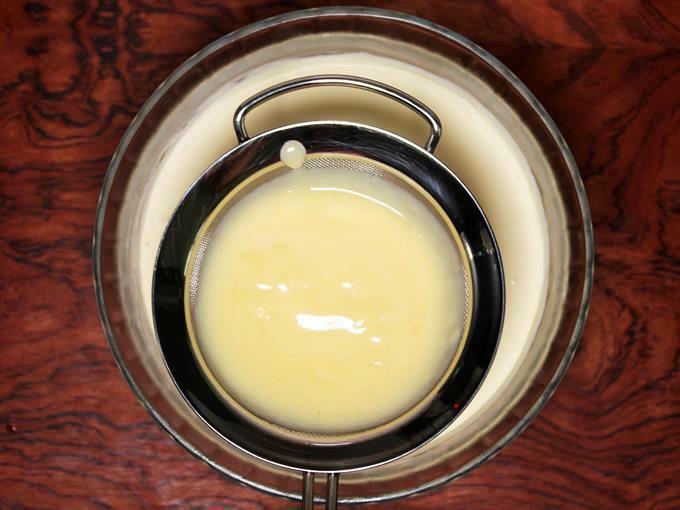 Cook the mixture on a a medium to low flame stirring consistently to prevent lumps. 8. Turn off the stove when it turns thick. The mixture has to coat the back of the spoon well when you dip it in the mixture. 9. Cover as soon as it is done and cool this completely. The mixture has to be smooth without lumps. 10. 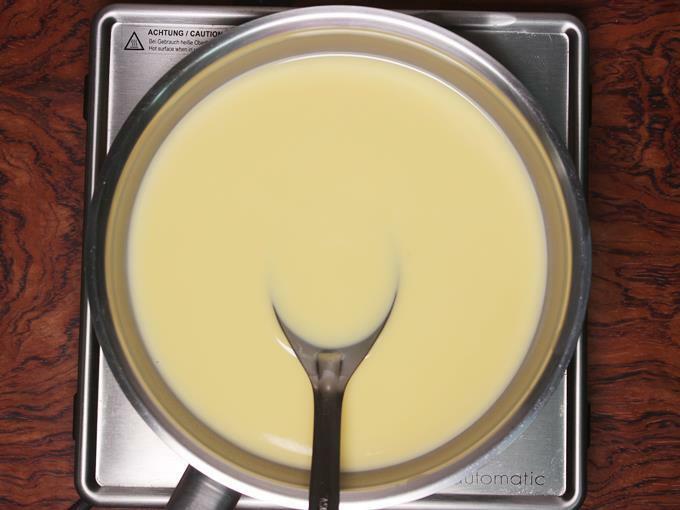 While it cools, you can pour the cream to the chilled bowl. Begin to whip it on a low speed first and then on a medium speed. If using a mixer jar, pour the cream to it. Run the mixer until the cream turns thick. Do not over whip otherwise you will end up with butter. Check after 1 minute and then again after 30 seconds. 11. Soon the mixture turns frothy first and then to stiff peaks. Do not over whip the cream. 12. 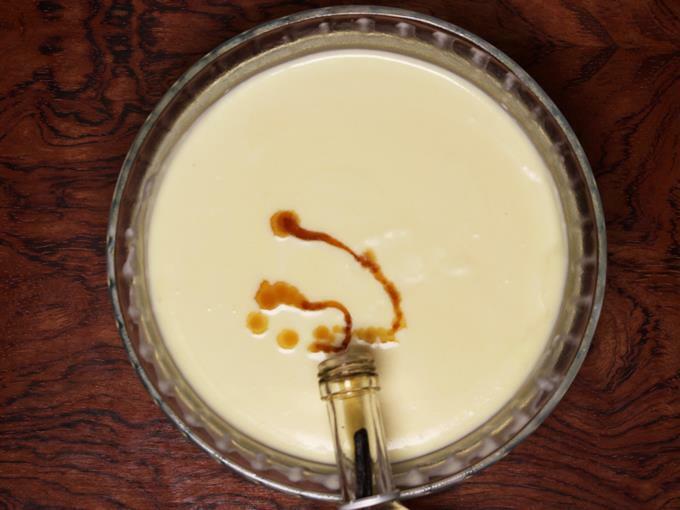 Whisk the custard to smooth. If it is too thick, you can add little milk and whisk again. Then transfer it to the whipped cream. I prefer to pass it through a sieve just to make sure there are no lumps. I added it in 2 batches and mixed. 13. Finally the mixture has to be thick but of flowing consistency. Very runny mixture may later form ice crystals. 14. I forgot to add in vanilla, so added later. But you can add it along with custard. 15. Mix well and cover the bowl with a cling wrap. Make sure the wrap touches the cream to prevent crystals. 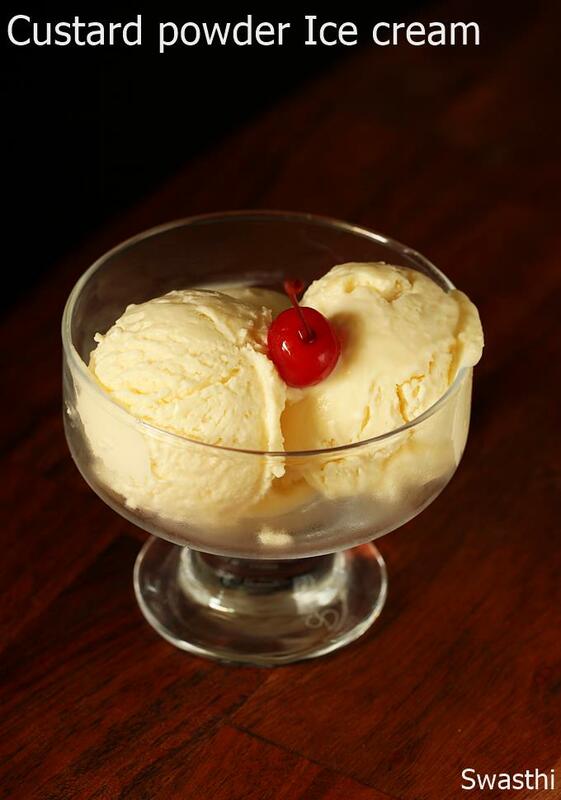 Scoop custard powder ice cream and finally garnish with cherries. I tried this. It turned out very delicious. 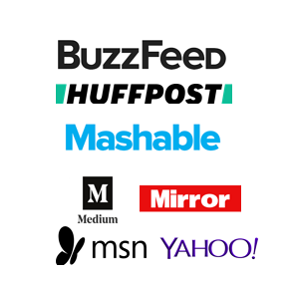 Please share more kids recipes. Thanks for the recipe.